First of all, I want to thank everyone for their positive comments and support of this blog. I really appreciate your support. Without your following and feedback none of this would be possible. NOTE: I’ve read some more studies and heard back from PhD students as well as other fellow ultra runners that have been tested in the lab. The conclusion seems to be that changes in one’s diet (ie eating a higher percent of calories from fat and less from carbohydrates) will allow the body to tap more into fat stores while competing in ultra endurance events and even most low intensity physical activities). However, the higher intensities (ie over 85% max HR) at which the athlete competes or trains at can be at risk for being compromised due to this shift. Furthermore, the training effect of running at a moderate “fat burning” zone intensity in the 65 to 75% max HR range (or 60 to 70% of Vo2max) will also significantly improve fat utilization for both a trained and untrained individual. Obviously there are a lot of variables with timing both periodized bouts of training with your changing eating habits, but I think even doing some lower intensity long runs on minimal carbohydrate (before and during) will allow one to capitalize on this training effect. 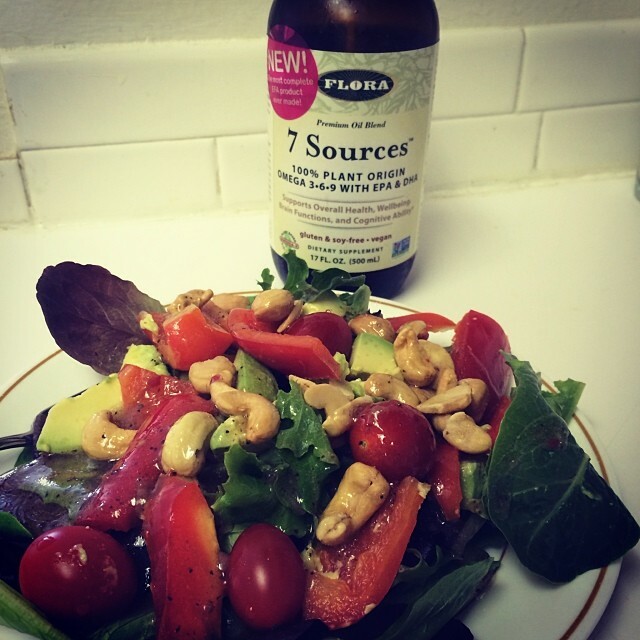 Being a vegetarian who loves carbs (ie Pizza and Avery Beer) I probably will not shift my diet to 70% fat, 20% protein and 10% carbs – however, I do make sure to ingest plenty of healthy Omega-3 fatty acids (in the form of Flora’s products, through nuts and avocados). I eat a lot of veggies! So in conclusion, due to individual variation (in genetics, diet, training history, etc. ), I can’t advise doing anything too drastic with your diet. Certainly there are a lot of “fads” out there as the diet industry is pretty big business in this country…so be leery! However, I do think there is some truth to complementing your training and race goals with a healthy diet – and that can involve some reduction in carbohydrate. Whether I go 2 weeks on a low-carb diet (that short a time period has been shown to be effective) or continue on with my high-carb diet while limiting simple sugars immediately before during most long runs (which I also need to lower the intensity on) is something I’m still deciding on. This is an experiment of one! Of course I’m very tempted to try my hand at a 100-mile distance ultra. With the Ultra-Trail-World tour out there is a pull to do longer races internationally, but the SkyRunning Series is something I’m more interested in and enjoy. Also, the though of running multiple 100-mile races in a year scares the crap out of me and I will move up when I’m ready. My top goal this year is to qualify for my 3rd Olympic Trials in the marathon and I don’t think racing a brutal 100-miler on the trails is conducive to that goal. Has any guy runner (I know a couple women have!) successfully transitioned down from nailing 100-miles on the trails to running an Olympic Trials qualifier in the marathon? Did Matt Carpenter still throw down another sub 2:20 marathon after Leadville? Anyone?! Thanks for reading and I wish you the best of luck in 2014. Oh yeah, and I’m proud to annouce that I was finally able to afford a smartphone so now I’ve joined Instagram and have been posting pictures with filters on the Interwebz. Its always nice to hear about your diet Sage, I might have to give the 7 sources a try. Question, do you ever worry about cutting weight for a race? my BMI is about 20.5 and it seems like a lot of good runners have a BMI of 19 or sometimes under that… unless they just make up their weight. Also, Im excited to see how you do in the Chicago marathon and especially the JFK 50 one of my friends did that one and its somewhat close to home for me. Hey, yeah I don’t worry about what my actual weight is if i’m eating healthy and don’t get too full or too hungry. You want the most nutrients you can get out of the food you eat so as long as you stay away from excess sugar you shouldn’t have to worry. I used to be obessive and weight myself everyday, but in the last few years I don’t even have a scale and don’t keep track. If you’re training well and not eating too much sugar you shouldn’t try to do anything drastic like “cut weight” or restrict calories. Some people have stronger (and higher density bones) and more muscle on their frames so their BMI will be higher naturally. Also water weight loss/gain can make your weight really vary so don’t worry about the numbers! I will say that I cut out upper body lifting though. Hope to see you at JFK/Chicago! Michael Wardian has ran some decent 100’s before qualifying I believe. Yeah I thought of Wardian. I don’t recall what his 100-milers were though! I read about the fat-loading strategy in Matt Fitzgerald’s book The New Rules of Marathon and Half Marathon Nutrition shortly before my last marathon. I felt I was already too far into my training at that stage (T minus 4 weeks or so) so I didn’t have enough time to experiment. I’m planning a marathon-distance run tomorrow in preparation for Tarawera so although I obviously can’t try fat-loading for that I might try going lowish-carb for dinner tonight and skip breakfast tomorrow, I’d be interested to see how it goes. You really take a gel every 20 minutes during an ultra? That is much more often than I expected! I might need to revisit my nutrition plan, I was planning a gel every 45 minutes (about 8km at my pace). Hey I have one of Fitzgerald’s books (Racing Weight)…kind of hard for me to get through. Half marathon nutrition is a totally different ball game (you really shouldn’t need carbs and the limiting factor is lactate acid). What I have done before marathons (and pretty much all ultras last year) is eat lower carb for 2 days then follow that with 2.5 days of a slight “carbo load.” Morning of the race is big time carbs and during the race is big-time carbs (Tarawera last year I out-did myself by drinking too much coke and not enough water!). Be sure to always bring emergency gels on your long runs when going into them depleted though…I’ve been reduced to a crawl and hitchhiking because of this mistake (ie 30-miler attempt on zero calories is a bad idea for me). The only runner I can think of is Wardian, but he’s not at much success at the 100 mile distance on the trail. (That’s not to say he’s not a talented runner, he is super talented). There were quite a few 100 mile road runners that had some pretty fast marathon times. Bernd Heinrich ran his first marathon at 40, and missed the qualifying time by 40 seconds. Wonder what he could have done if he was younger? Good to see you running JFK50. Chasing that CR? I’m planning on running it this year, but won’t be close to a CR. I think the swtich in metabolism (ie lower intensity fat burning) to run a great 100-miler on the trail is just a lot different from running a fast (ie OT standard, which is now sub 2:18:00) in terms of fuel utilization but also leg mechanics and lactate threshold/Vo2max. Now that I think about it…Did Matt Carpenter put down a fast marathon after Leadville?! Matt Carpenter didn’t run a fast marathon (except Pikes Peak) after Leadville. (I think he won Pikes Peak a couple times after) He is still throwing down some incredible times at shorter races, even at his age. good to know! Pikes Peak (even if *only* 26.2) runs more like an ultra in terms of having some serious mountain/trail strength, coping with the altitude and being able to climb/fly on single track (gnarly rocky steps at the top between 13,000 and 14,000!) so it makes sense with going along with Leadville training (he was also one to focus on racing 100% efforts and targeting specific goals…very dedicated!). Thanks for the comment. AlsoI’m turning 50 and have done a lot of endurance racing on a high carb diet over the last 15 years. The last 3 years I’ve tinkered in training by running on low fuel etc. The last 6 months I finally decided to go high fat low carb and its been the best thing I’ve done from a training point of view. I’m doing an off road 8000+ vert in March (first one) so it will be interesting to see the outcome. It’s been a bit of fun seeing how the body can change even at my age. I also upped my protein due to the diet change and touch wood no stomach issues with either. Hey great to hear! Sounds like your training and new diet has been going very well. Best of luck with the race (sounds like a climb!). hey sage – thanks again for sharing these insights! nutrition for ultras is definitely new territory for me and i’m appreciative of any words of wisdom. Great to hear! Thanks for following along. It might be an individual thing, but I’m just not that hungry when i wake up anyway (I’ll have to have coffee though!). Best of luck with your training and thanks again! Does your stomach freak out during a race while eating gels every 20 minutes? I’ve been told to practice my race day nutrition during training runs (to get my stomach ready). With this fat-burning training, i try not to eat gels at all during training runs. Thanks! I think HR is a good gauge most of the time so that is a good idea. In terms of stomach issues, see my note above in the post on VFuel gels. You for sure want to experiment on some long runs and harder efforts taking in calories (And products) that you plan to take in during the race (so not every long run or workout has to be a lower carb, fat-burning run…you can change it up every once in awhile!). Stomach issues are a big concern with any race and sometimes they are hard to predict. If your sodium levels get out of balance or if you take more sugar than you can digest (or even if you ate something the night before) along with race day jitters and stress it can throw you off. So practice, find some products that you like and seem to work and be ready to adjust for race-day conditions! Best of luck with your 100-miler training! 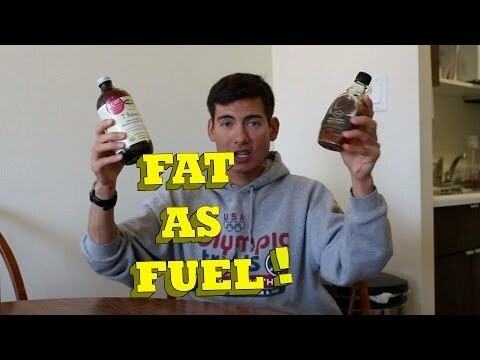 Was wondering, have you tried other race fuel that would optimize a little more the fat utilization instead of going the gel (fast sugars) way ? I’m thinking stuff like UCAN or similar products. I’ve tried UCAN before…not a big fan. My Vfuel gels actually have some fat in them (via the coconut oil) and a bit less sugar than other gels. I think I still will need carbs during the run always, but a blend of fat burning along with sugar burning is the best to run fast! Thanks for the support! Was able to get into Mt. Washington via lottery bypass so looking forward to toeing the line there for the first time. Nice work at the Carlsbad Marathon! Congrats! That’s awesome! Mt. WA has a special place in my heart. Perhaps I’ll see you at the XC Champs (I’m not racing, but I might come out to watch/film). I’m also a vegan and have been running ultras since the late 80’s and 100’s since my first in ’98. That was after racing roads for 20 years…I just ran my last 100 last Summer at Hardrock, they just take too much out of you in order to run other races. I have also been doing the low HR/fat adaptation type of training the past 10 years and I have to say that it helps me a lot. I can go out for 3+ hours on hilly trails and need nothing but water…anything longer, I’ll have a veg sandwich along for some calories. Best of luck with your and Sandy’s 2014 season. Great to hear! That is quiet an impressive history you have in running (and I’m glad you support my decision not to move up to 100 yet). Also congrats on the healthy diet and lifestyle. Hardrock sounds brutal. Anyway, thank you again for the advice and best of luck with the BQ training…that is a lot of miles raced at Boston! Thanks for the Advice Sage and Congrats (again) on an Incredible 2013! As a Type 1 Diabetic Ultra Runner, I have been reading labels and playing with nutrition forever- I think the only thing you forgot in your video is how difficult it can be to switch to low carb./high fat MENTALLY. I know reading some of Joe Friel’s book about the Paleo diet, as well as from my own experience, although you have the energy to complete your run, you can feel downright whacky as your body goes through the paces of changing metabolic processes- just a thought! Best to You this Year, and thanks for giving our New Hampshire Mountains a shout-out in your blog about Mt. Washington this year!! Thanks for your input – that is a great point! I don’t think I’ll be able to swtich that much because mentally it is hard for me to stay away from carbs and that low-energy crash (which I’m sure you’re all too familiar with) is brutal. Anyway, best of luck with your training and nutrition and thanks for the support! PS Mt. Washington is a very special race and I love coming back to those mountains. Sage can you give me an example of a typical high fat low carb diet is for a day? I am not a vegetarian but I will eat a lot of fruit and veggies plus meat. What should I eat for breakfast lunch and dinner? Hey man, I’m not really qualified for that because it’s not something I’m actually going to practice! That being said, I go into a slight carb depletion phase before carbo-loading…it’s really hard and I can only do it for several days. Basically I’ll run in the morning after a couple spoonfuls of almond butter. Then maybe for lunch/brunch I’ll have a giant omelette with avocado, cheese, veggies, Flora 7 sources oil, etc. Then for dinner it would be beans and/or chili with maybe some salsa and veggies and a salad. Probably a lot easier to do if you’re not a vegetarian as you could easily throw in some chicken or beef. You may want to interview him sometime. Hey thanks for the info! Great to hear! Thanks for all this information, definitely a lot to consider here!